1. 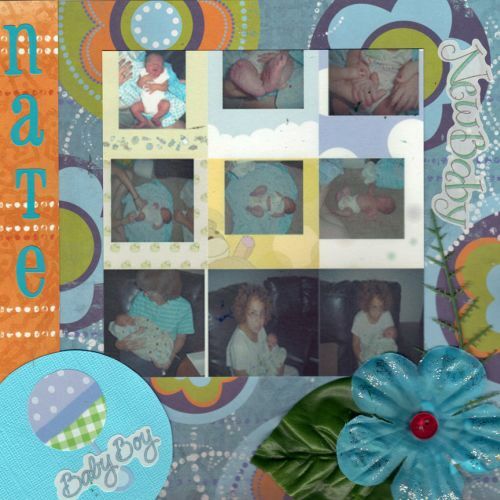 I collaged photos of my new great-grandson, Nate, and printed on white cardstock. 3. Cut a circle and placed on left bottom corner, with a rattle and Baby Boy sticker inside it. 4. Added a silk flower with leaf and stem on lower right corner which I had used glitter and a button on flower. 6. Used blue felt letters to spell our Nate vertically on leftside.